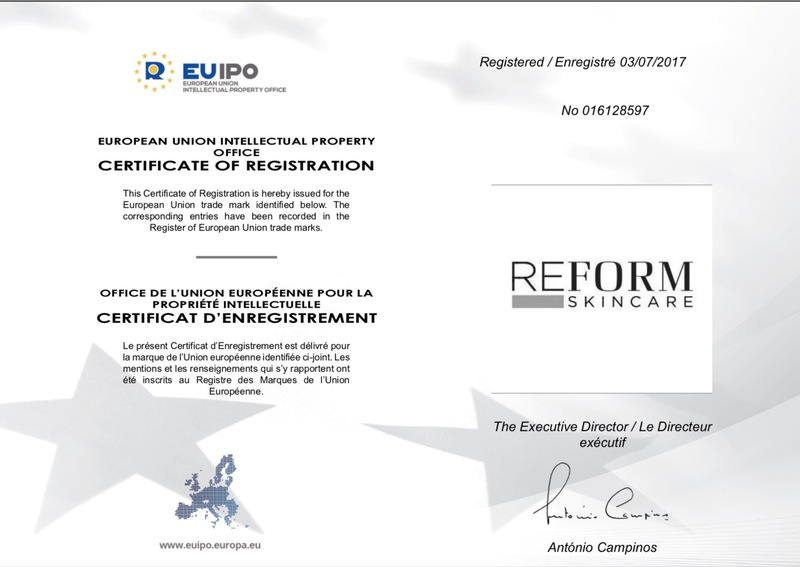 REFORM Skincare are delighted to receive its EU trademark. This is a great step forward for REFORM Skincare protecting our brand identity in the European Union. It allows us to continue to move forward in the manufacture and promotion of our cosmeceuticals range in Europe.